9 years ago I had this 1TB Seagate ST31000340AS hard disk that I was using as a primary drive for my Os and also the place to store all my photos, video clips and other important stuff. At some point it simply failed to work. No strange sounds, no nothing. The BIOS would not recognize it, OS would not see it. I left it like that for for 6-7 years, but in the last week I started informing myself about how to fix it. I knew there wasn’t any mechanical issue with it and I was suspecting HDD firmware issues. And my suspicion was right. There was a known glitch with multiple series of Seagate models, more specific – with their SD15 firmware. Now the fun begins, because there is a solution to this issue. Also found as “PL2303HX USB to UART TTL Cable Module 4p 4 pin RS232 Converter”. 4. A postit or a piece of paper, foldet 2-3 times or any other slim non electric conductive material. 5. Prolific PL2303HX drivers that actually work on Windows 10 (get the from here not the manufacturer’s website). 6. (optional) External HDD rack or connect the HDD directly to your motherboard via SATA and Molex ATX power cable. Before we start, please be aware that there is a slight possibility that you will lose your data or break your HDD if you are not careful. If you have important data that you cannot afford to lose, please go to a data recovery company to fix your hard drive. power off your PC or your external USB hard disk rack. 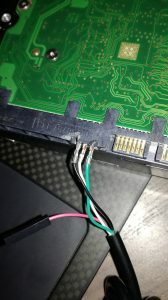 Important: make sure that the SATA or USB cable is disconnected from your PC/external HDD rack. Remove any jumpers from the HDD. If you have any. 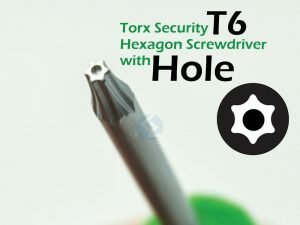 Take the Torx T6 screw driver and remove all 6 screws and detach the HDD PCB. Remember that the long screws are always connected on the corners of the HDD. Place the folded postit between the PCB and the contacts for the drive head. Leave the drive motor contacts in place. Tighten the three screws closest to the motor contacts. Leave the other three screws loose or removed. 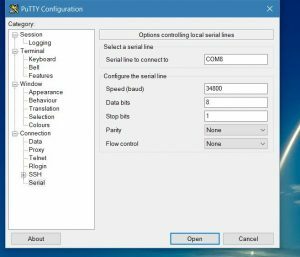 Install the USB adapter’s drivers (from the link provided at the beginning of the post) and make sure that Windows sees it as COM port in Device manager and you don’t have any yellow errors on it. Reboot if necessary. 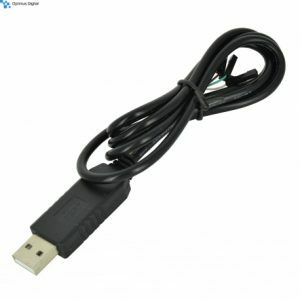 Connect the USB adapter to the PC. Choose 38400, 8, None, 1, None in the COM properties box. 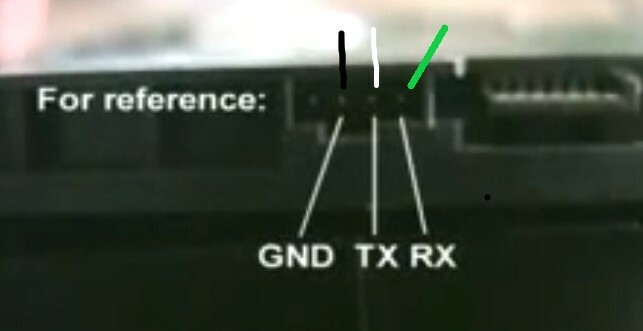 You should connect the TX pin of the hard drive to the RX pin of the adapter, and the hard drive’s RX pin to the adapter’s TX pin. This is the theory. In the real life it worked backwards for me. These pins are located next to the hard drive’s SATA connector. 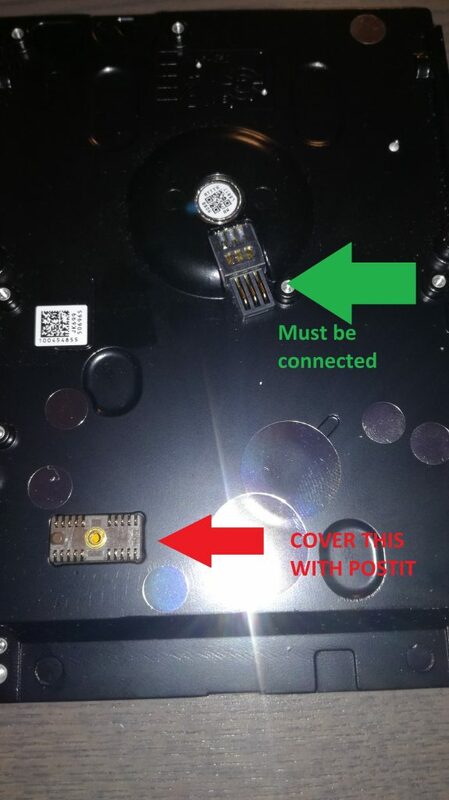 If you can’t fit the pins on the HDD, strip the plastic shielding from the pins. After inserting the pins, power on the PC or the external USB rack. 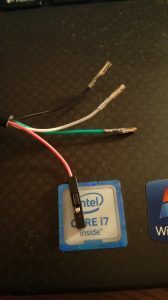 The SATA cable should be disconnected from the HDD. Same for the external rack. Download putty from their official site. Open putty and make these settings. Make sure you are using the correct COM port number. Mine was COM8, but it might be different for you. Go to device manager to check the actual port number. You should see a blank screen. Hit Ctrl+Z. LED: 000000CE FAddr: 00280D4DThen you entered the commands too quickly after supplying power to the drive. Poweroff the HDD, wait 30 seconds, then begin again. If everything went smooth until this point, carefully remove the red postit that you placed between the PCB and the drive head contacts. Note, the bellow command contains Zero, not o – as in order. Do not turn off drive until you see this message. Once seen, drive can be turned off. Power down everything, place drive back into your computer, and confirm that it’s working. Update the firmware to the latest version! Google is your friend. Posted in hacks, hardware, How to. Tagged with BSY error, firmware, fix, hard disk, hdd, seagate.